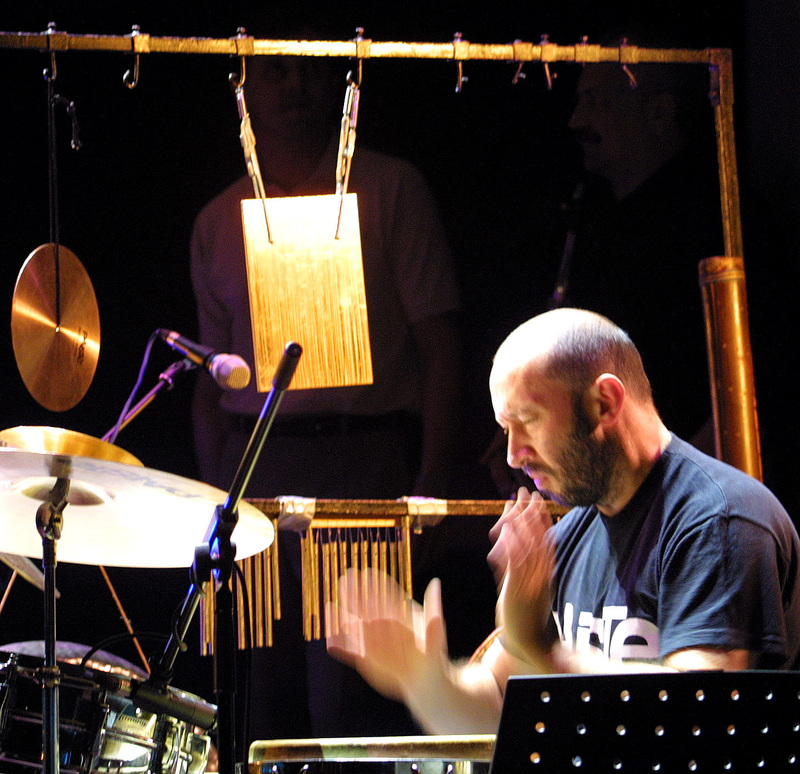 Arkady Gotesman is one of the most resourceful and versatile Lithuanian percussionists. 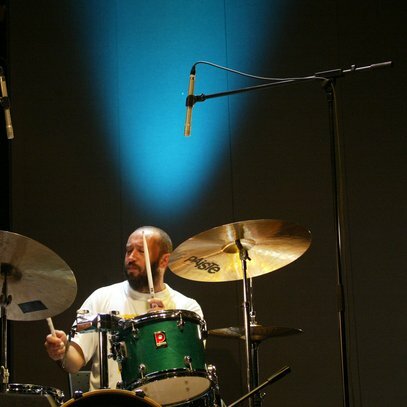 Gotesman made his jazz debut in the 80s, later collaborated with exponents of various trends including Roland Dahinden, Vladimir Volkov, Vyacheslav Gaivoronsky, Arkady Shilkloper, Julian Joseph, John Zorn, Jack Siron, Frank London, Anthony Coleman, Charles Gayle, Tim Daisy, Joey Baron, Barry Guy, Dominic Duval, Dave Douglas and Albert Beger. Arkady Gotesman (b. 1959) is one of the most resourceful and versatile Lithuanian percussionists. 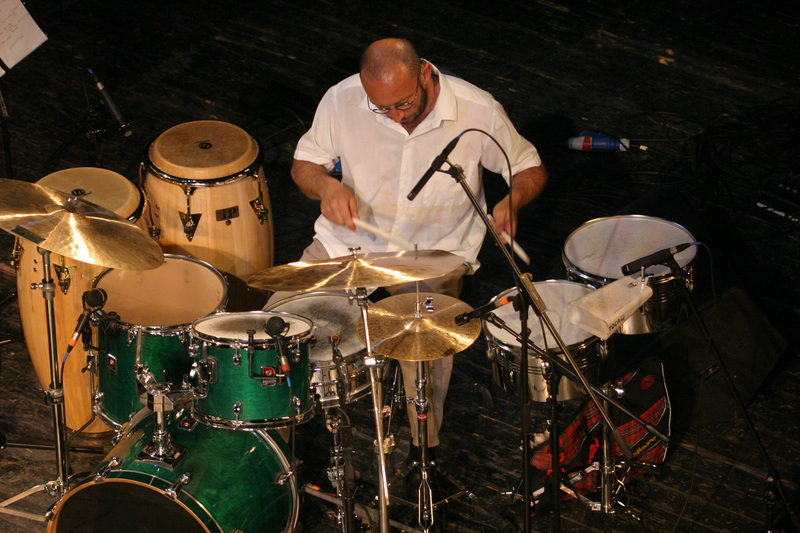 Gotesman made his jazz debut in the 80s, later collaborated with exponents of various trends including Roland Dahinden, Vladimir Volkov, Vyacheslav Gaivoronsky, Arkady Shilkloper, Julian Joseph, John Zorn, Jack Siron, Frank London, Anthony Coleman, Charles Gayle, Tim Daisy, Joey Baron, Barry Guy, Dominic Duval, Dave Douglas and Albert Beger. 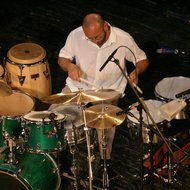 For many years the percussionist has been working with Vyacheslav Ganelin, Petras Vyšniauskas, Vladimir Tarasov, Liudas Mockūnas, Dainius Pulauskas and Tomas Kutavičius. 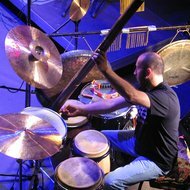 He also collaborates with Vilnius Jazz Orchestra and ACCOsax Freeminded trio; has presented original projects with Juozas Kuraitis, Eugenijus Kanevičius and many other improvisers. 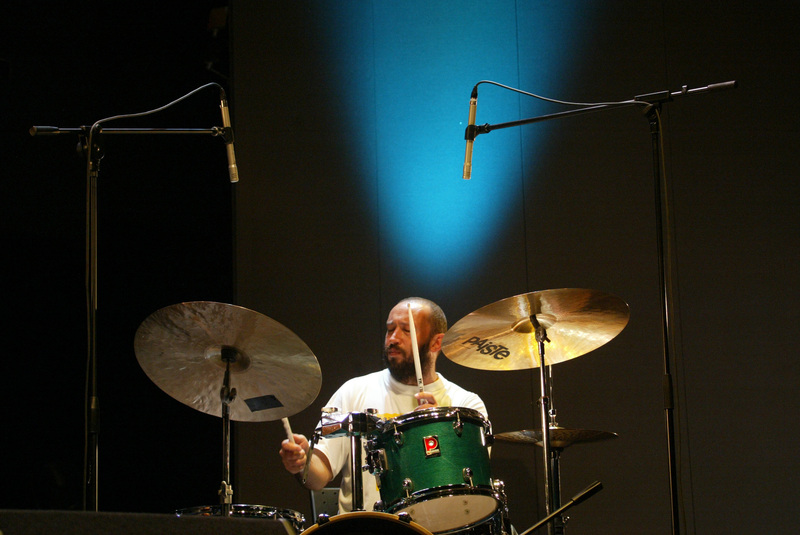 His latest passion is keyboards and drums duo with pianist Dmitrij Golovanov. The duo favours spontaneous improvisation stemming from a combination of acoustic percussion gestures, keyboard melodies and live electronics’ tricks. Duo’s exotic jazz is sometimes enriched by Rolandas Rastauskas’ poems. Inspired by J. Brodsky’s poems Arkady recorded a solo album J. Brodsky in memoriam. He organises literary readings with actors; composes, records and performs music for theatre – collaborates with the Lithuanian National Drama Theatre, Meno fortas, Juozas Miltinis Drama Theatre in Panevėžys. The percussionist has always been preoccupied with theatrical vocabulary. 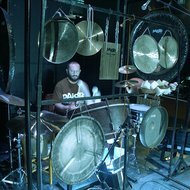 In 2010, he invited to his first one-man show The Story of God’s Man (director Adolfas Večerskis), in 2012 together with visual artists Linas Liandzbergis and Artūras Valiauga he presented new project Percussion Postcards. 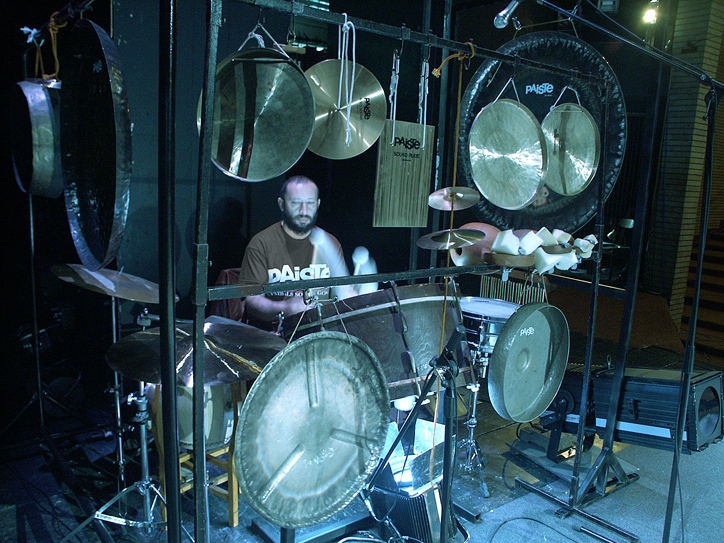 In addition to playing jazz, he performs contemporary academic music, writes scenarios for performances and installations, collaborates with dancers. On the academic music scene Arkady has collaborated with singers Liora Grodnikaitė, Judita Leitaitė and Vladimiras Prudnikovas, cellist David Geringas, pianist Petras Geniušas, choirs Polifonija, Jauna muzika and Brevis, composers Šarūnas Nakas, Gintaras Sodeika and Zita Bružaitė among other representatives of various genres. 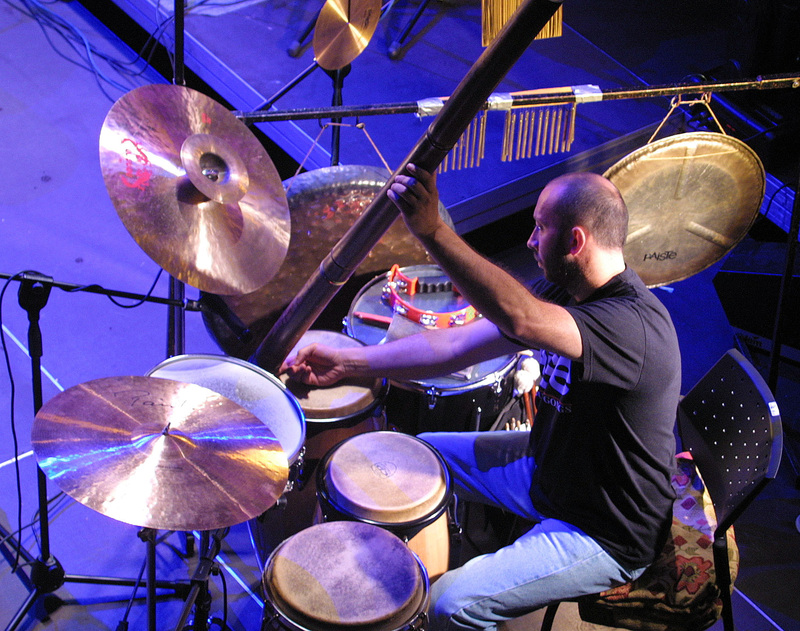 Vyacheslav Ganelin and Osvaldas Balakauskas have dedicated their compositions to the percussionist. Arkady Gotesman is a founder and member of Vilnius Klezmer Orchestra, organises the Klezmer Music Festival. "Moon" / "Samba" / "Mirage"
"Love You Madly" / "Dirty No-Gooder's Blues" / "Round About Midnight" / "Mama" / "I've Got the World on a String"
Anatolijus Šenderovas. "Songs of Sulamite"
All texts, photographs, logos, music and artwork are protected by copyright laws. They are free for promotional use but when referring to the materials please mention the author and source whenever it is known. When not specified, the source is the Music Information Centre Lithuania (MICL).